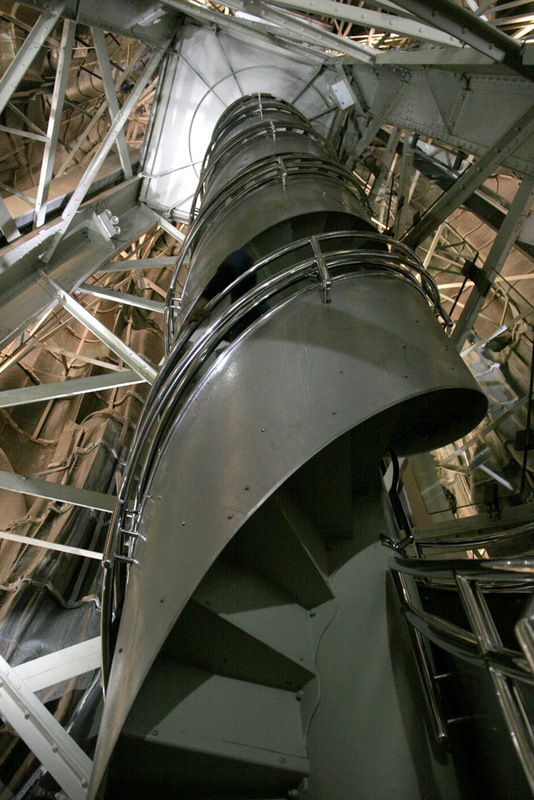 This looks like a corkscrew, but in actuality, it is 354 narrow, steep, and spiraling steps up to reach the crown of the Statue of Liberty. To come down, there is another set of spiraling stairs, at least, I never ran into anyone; otherwise, we would have been stuck. A closer look at the stairs. To make it easier, I had to lean to one side to make the journey easier. I thought they would never end. The view up there is spectacular. Here is a view out one of the "crown" windows. You can partially see Lady Liberty's right arm that holds the torch and vessels in the bay. The space around the crown is quite cramped. 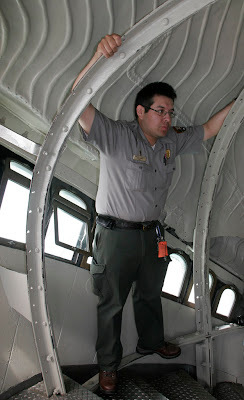 This park ranger working up there that day had to stand on the edge so people can work through. During the summer, the temperature up there gets over 100+ degrees. All the rangers must be in good shape to make it up those stairs regularly. A few readers had mentioned they are planning to visit New York City soon. If you want to visit The Crown section, buy your tickets online before your trip. The tickets to the top were sold out on the day of my visit, but fortunately I had purchased my tickets a month in advance. beautiful pictures of the inside of Statue of Liberty Karen, when I was there, it was still closed and up to renovation and maintenance work. So that's how it looks like inside the Statue of Liberty. I thought there'd be a small little elevator inside to get people to the top. Betchai: I am sorry you didn't get a chance to visit the Statue. Now you have an excuse to go again. The last time I was in NYC, I could only see the Statue from the ferry, so I know how you feel. RoseBelle: I was always curious myself. 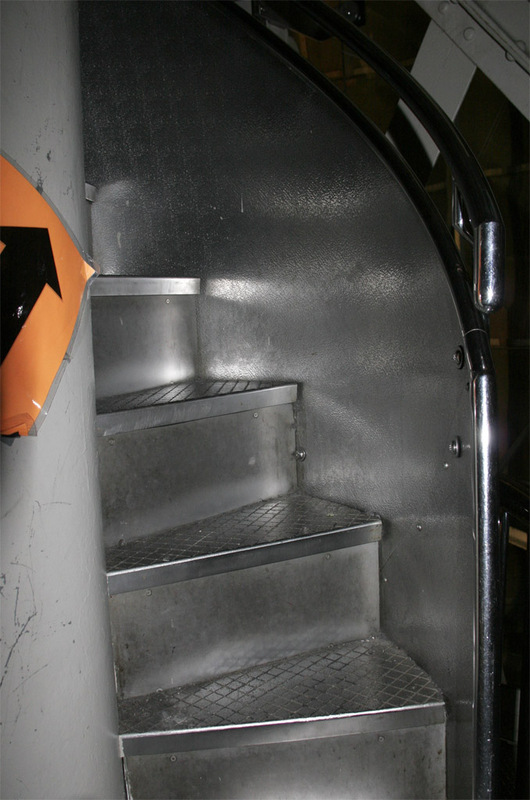 There is an elevator at the bottom that takes you up a few floors, but the 354 steps is human-powered. Wow, cool shot to see inside. While 350 steps is fine, a tight spiral like that looks so difficult. However what a sight to see. I visited her twice when I was nine and then about twelve years old and I will never forget the view from her crown. I also remember how narrow the stairs were. Another one I visited both those same times was Empire State Building so you might want to get some pics there especially from the top! Poetic Shutterbug: You work up quite a sweat going up those stairs though. I was too tired to think about dizzying spirals. I kept asking myself "are we there yet?" Ruby's Raiser: Seven? That was only a few years ago! ;) This is my first time so I can't tell you if anything's changed. Go for a visit and let me know. HeeHee! Weez: Wasn't the walk up those stairs amazing? I did get some photos of the statue from the Empire State Building, but haven't posted them yet. Maybe next week. And I'd definitely try climbing up those 354 stairs! I was trying to remember why I didn't go up in the crown but I think I remember now. I used the CityPass and I think I had to choose between the crown and Ellis Island. It looks awesome up there but I'm kind of glad I didn't walk it! !